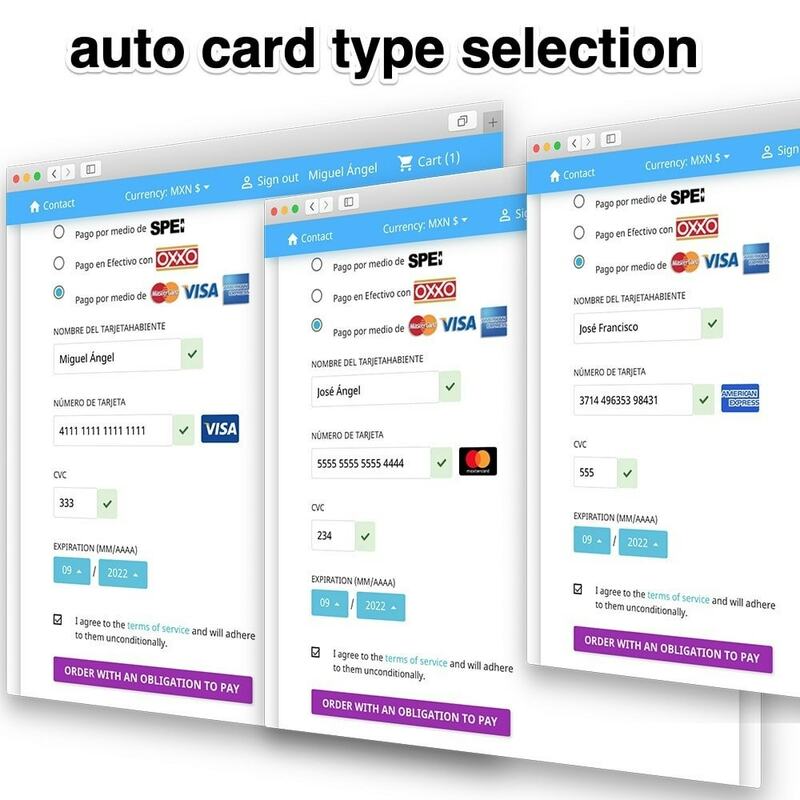 A fast and seamless checkout flow. This plugin is API integration with easy setup with no programming skills. 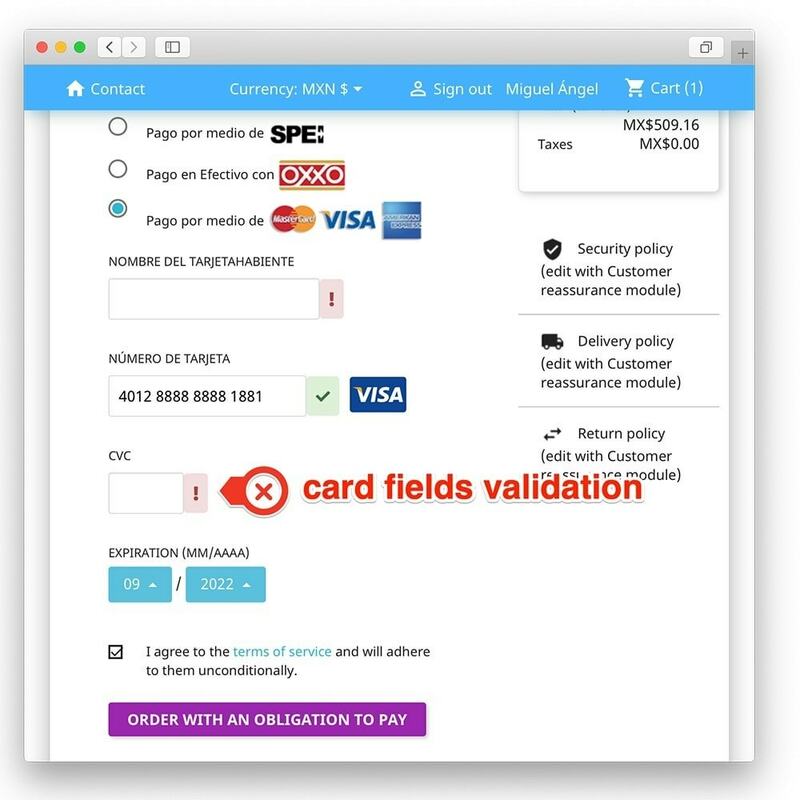 Plugin automatically send and receive payment transactions to Conekta! 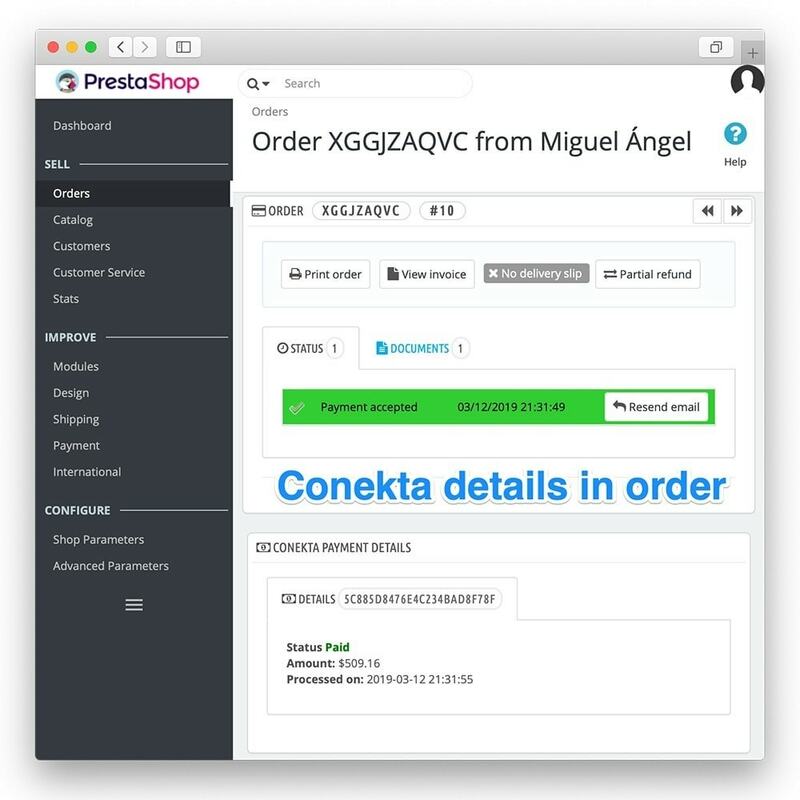 The Conekta payment module processes the customer's and order information by sending the data to the Conekta gateway's web server. 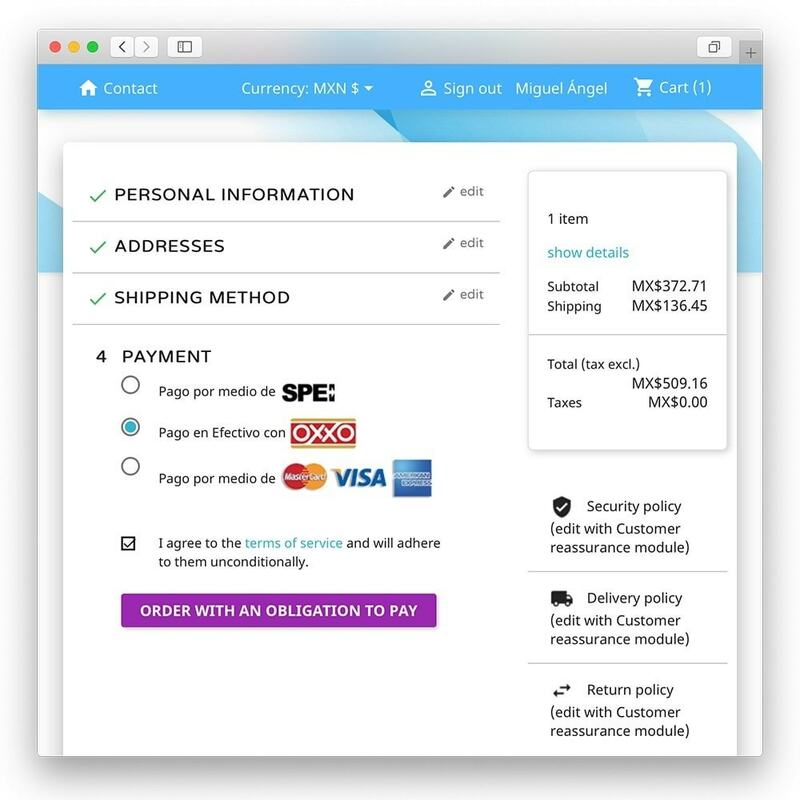 You don't need any other module to process all your buyers' payments. Get paid by Debit or Credit card via Conekta, most complete payment solution. 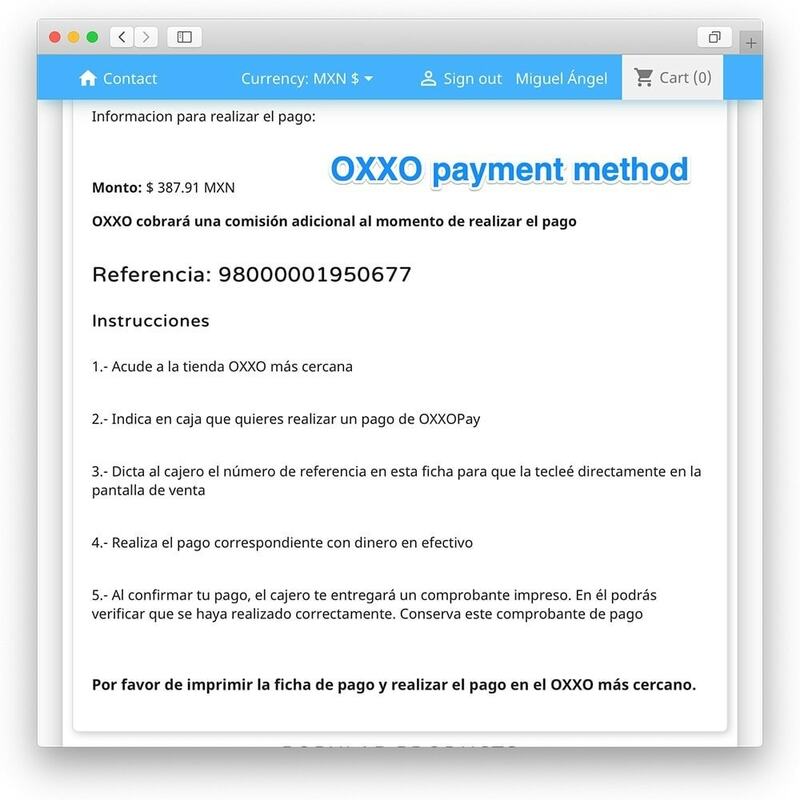 The greatest coverage: With OXXO Pay, cash payment system with real-time notification. 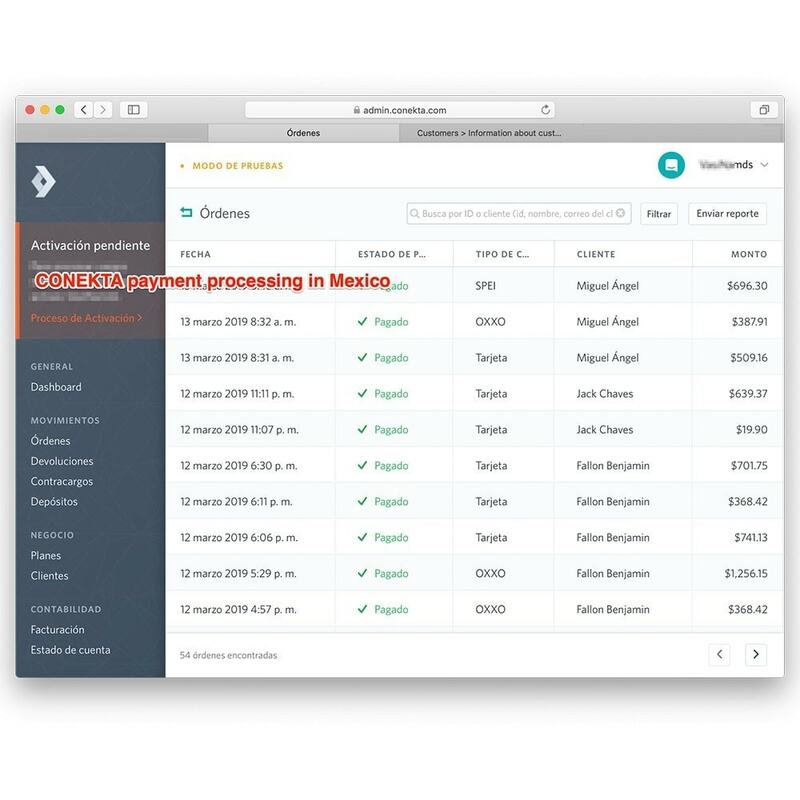 You can receive payments of 60% of the population in Mexico that does not have a credit card in more than 15,500 OXXO branches. 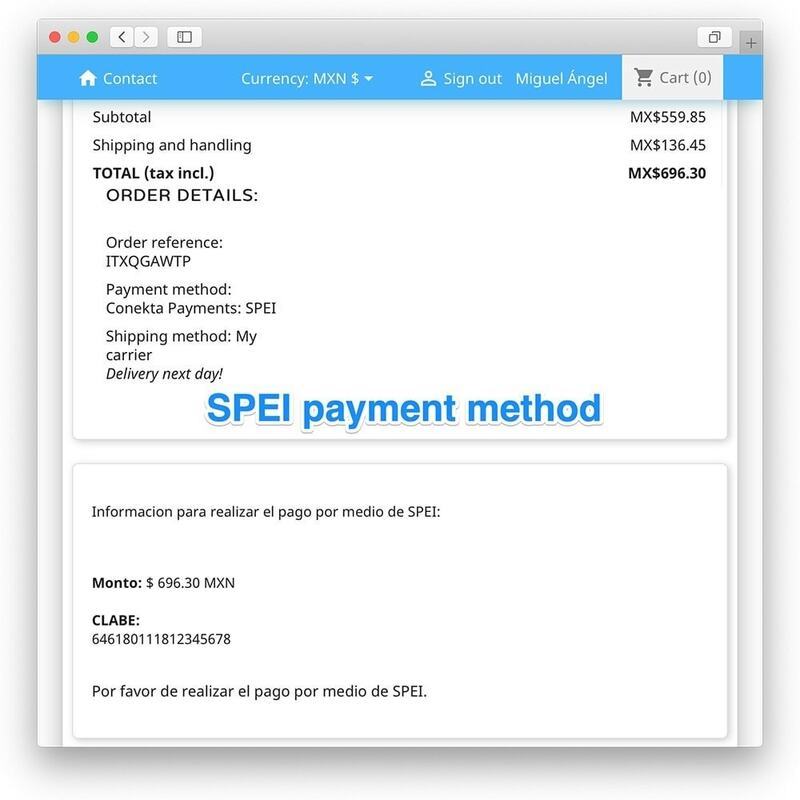 Each bank offers a different online account interface, but all banks which support SPEI transfer will offer the function to register a new CLABE. 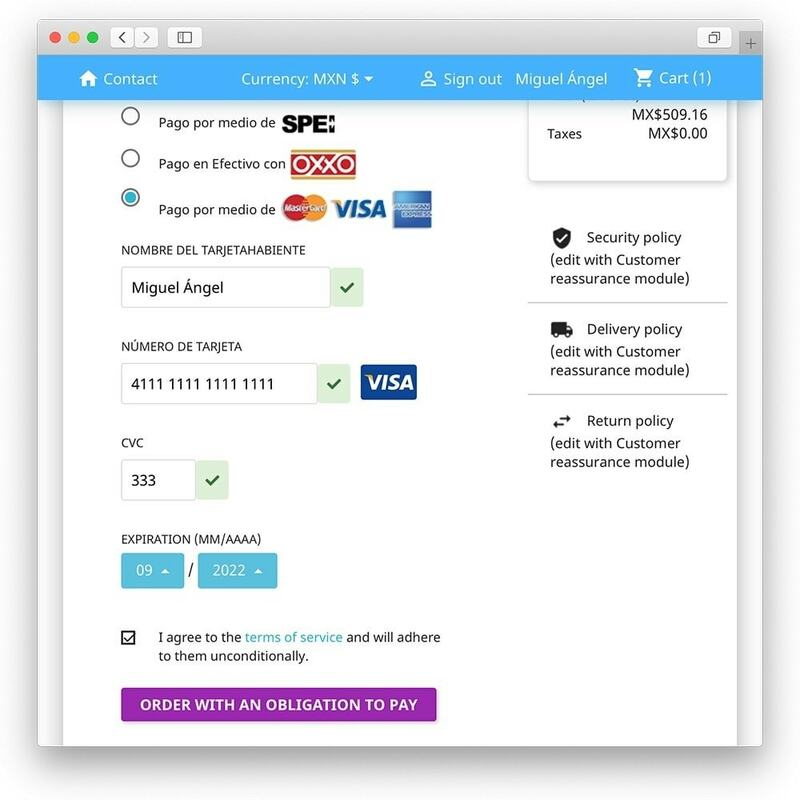 Bank Transfers are very common in Mexico and most likely your customer has already paid with this method previously. Allowed you to grow the business faster than before!